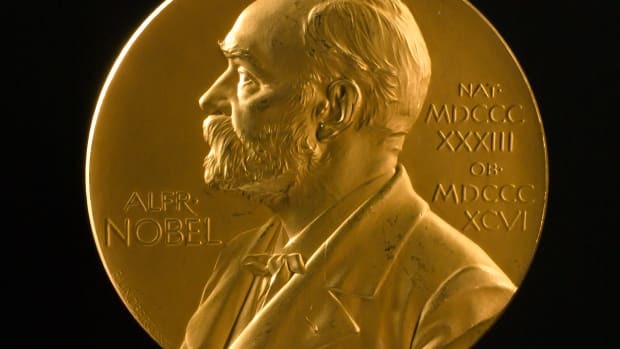 When it comes to record-setting Nobel Prize recipients, there’s Marie Curie and there’s everyone else. The Polish-French scientist was the first woman to share a Nobel Prize (the 1903 physics award, with her husband Pierre and fellow French scientist Henri Becquerel, for their pioneering work on radioactivity) and was also the first woman to receive an unshared Nobel, the 1911 chemistry prize, for her discovery of the elements radium and polonium. That makes her the only person ever to win Nobel Prizes in two different sciences. As if that weren’t enough, four of her family members are also Nobel laureates. 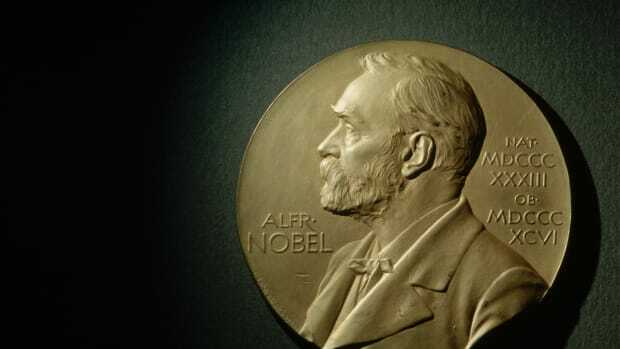 In addition to Pierre, her daughter and son-in-law shared the 1935 chemistry prize, while another son-in-law was the director of UNICEF when it won the 1965 peace prize. The first woman to win the Nobel Peace Prize was Baroness Bertha Sophie Felicita von Suttner, née Countess Kinsky von Chinic und Tettau, who won in 1905. Von Sutter was the author of an influential anti-war novel and had a leading role in convincing dynamite magnate Alfred Nobel to include a peace prize in his bequest. The first female Nobel literature laureate was novelist Selma Lagerlöf, whose most popular book was about a boy who flies around Sweden on the back of a goose. The first woman to win the Nobel Prize for Physiology or Medicine was Gerty Theresa Cori, who shared the 1947 award for discovering how sugar-derived glycogen is used by the body as an energy source. The last first woman to win the Nobel in her category was Elinor Ostrom, who shared the 2009 economics prize for her groundbreaking analysis of common property. The wait was so long for a woman economics laureate in part because that prize wasn’t established until 1969. In all, as of 2016, Nobel Prizes have been awarded to 48 different women.